Part of my job is to conduct mock employment interviews with our students. In advance of these meetings, I ask the student to send me the job description of the job that they are preparing into interview for. I also take the time to research the company where they will be interviewing as well. Often I will come across real interview questions that the company has asked others in employments interviews. Recently, one such question really irked me. To paraphrase it asked; “Are you inherently introverted or do you prefer to work in a group?” Talk about a misleading question! 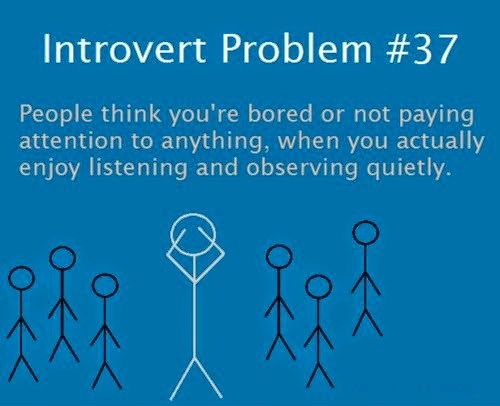 I am a proud introvert and I like to work in groups. How should I respond to that? 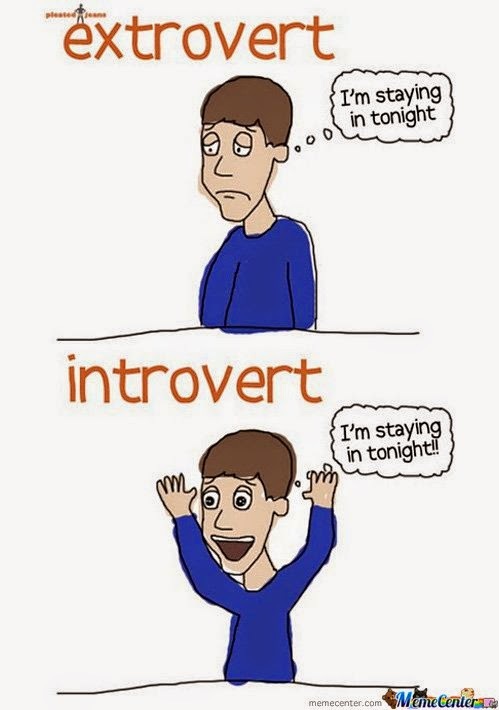 My husband is also an introvert. He was involved in several school clubs, and played competitive team sports as a child. As an adult, he works in Sales Development and is constantly working around people. 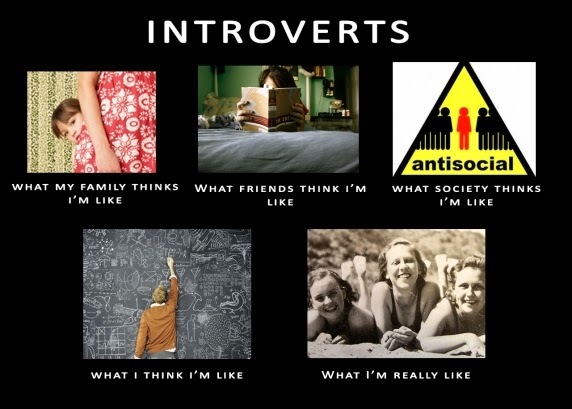 This leads me to the bigger issue; the misinterpretation of who/what is an introvert. Society thinks that we are: shy, withdrawn, work best alone, can’t speak in public, and that we don’t like people. In reality we are: quiet (sometimes), reflective, prefer to observe before speaking out, are comfortable being alone, and we enjoy people. I have worked my entire career (since the age of 15) in customer service, client facing positions. In fact the 18 months where I worked as a Human Resources Manager (and rarely left the office) were the worst for me. I worked successfully in retail sales, direct sales, recruiting, outside sales, and now as a career expert. Most people are shocked to learn that I am in fact an introvert. Whereas an extrovert gets energy from being around a lot of people and who may feel anxious when alone, the introvert is the exact opposite. After working with people all day, I need my “alone time” to unwind and relax. When I don’t get it, I get cranky and irritable. It’s not unheard of for me to cancel plans because I would rather spend that time alone than out with others. This is not to say that as an introvert I don’t have many friends. I do. Typically the introvert has fewer “close” friends and many “acquaintances”. I have always hated that interview question. I hate it so much, that I won't even ask it. Throughout my entire career, I have never had a good answer for it. Truthfully, I have never had a career plan (what kind of Career Advisor admits to this?) In high school I would say that my plan was to marry rich, during undergrad I always planned on going to grad school (which I didn't do because I didn't want to pay for it), after that I would look for jobs that interested me (how I ended up in staffing and recruitment is beyond me). Since I didn't marry rich, or go to grad school I've been winging it for the past 20 years. I'm able to identify and use my transferable skills, I have enhanced my education with further accreditations, and I work hard. But if you ask me where do I want to be in 5 years? I still don't have an answer. So why would any recruiter or hiring manager expect any different? Working with undergrads for the past year has been very refreshing. It's really great to see the optimism of youth. So many of our students have definite plans - and I applaud them for it. But I'm a realist. I also let them know to be okay if their plans change. Our definition of success changes as our circumstances change, and that's okay. What if your 5 year plan includes graduating, completing your CPA designation, and making partner? Then, during those 5 years, you fall in love, get married and have twins? I guarantee, whether you are the mom or the dad, you will re-evaluate that 5 year plan. Maybe you will be even more determined to achieve your goal, maybe you will change the goal completely. My point, if I have one, is that if you are a recruiter- please stop asking this question. If you are a candidate, have an answer ready for it, but know that it's 100% okay to change your plans. At first I chuckled, but then I got angry. Angry enough to take a photo and to (eventually) blog about it. So what is it that made me so mad? Young adults these days generally get a bad rap. They're "entitled" and "lazy" among other things, if you believe the media. This ad completely plays into that stereotype. "Hey parents, we know your kids are too lazy to get off their butts to apply for a job, so why don't you come in and fill out an application form for them?" I can just imagine the marketing group in a room trying to solve the low applicant rate, "I know, let's appeal to their parents!" 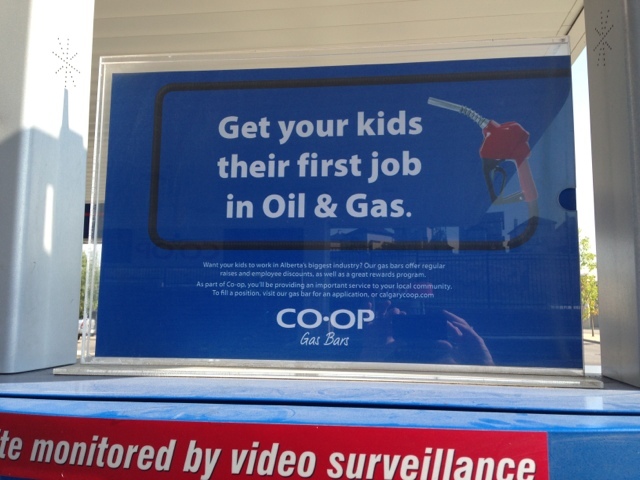 Truly, shame on you Co-op. Kids these days are a product of the parenting that they received. Many have parents who hover and control every moment of their lives. If that is who you want to hire, then by all means, go ahead. But you will be missing out on the truly wonderful candidates who are motivated and excited, and who truly want to learn and do a good job. And if the next time I go to buy my gas and the attendant is ignoring me and being lazy, I will know why - it's because he didn't truly want this job - his mother wanted it for him. Your definition of "work/life" balance is probably different than mine. In fact my definition of today is different than my definition of 4 years ago. Depending where we are in our lives and career, this means different things to different people. 5 years ago I didn't have any kids. I was earning good money, and I had savings. Back then I wanted flexibility and time off to travel. I had no issues coming in at 7 am and working until 4 pm. If there was an event at night, I had no issues staying late. My manager knew that I worked hard and was seeing results, so he allowed me the flexibility that I craved. Today, I have a 2.5 year old. I changed jobs - effectively lowering my income - so that I would have stability. I traded in flexibility for security as this is what's important to me now. Starting early or staying late need to be planned in advance because I now have to coordinate with day care and my husband. I bring all this up because I chuckle when I see in a job posting or company website "we offer great work/life balance". It makes me wonder "according to who?" In my office, we're all in different stages of our lives and therefore all want/need different things in terms of balance. 1 person may want flexibility to take a course or to write an exam, another may need flexible hours to accommodate their children's schedules, and another may be completely flexible to anything. 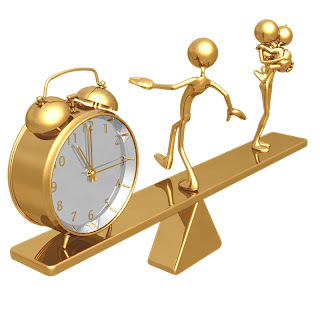 And even though I have changed jobs (and careers) I don't necessarily feel that I have achieved "balance". Most days we don't eat dinner until 6 pm, and by the time my son is done eating it's closer to 7:30 pm, and that means that we have very little time together before he goes to bed. And after he's in bed there are still all of the household tasks to attend to. Plus we need to shower before collapsing on the sofa for a little grown up time (which usually means watching 1 hour of t.v. that's not a kid show). Weekends are just as busy. There is always work to be done (groceries, laundry, house/yard work, etc) and time is short. We all need time to decompress from the week, and time together as a family, and 2 days is just too short. If I was asked if I have achieved "balance" my answer is "no". On one hand, we make it work, but on the other hand we aren't as efficient as we could be. I would be grateful if the term "work/life balance" would disappear. There is no concrete way to define it after all. I come from the world of high volume recruiting. I'm not going to lie to you, in that type of role, a recruiter barely glances at your cover letter. I used to scan the letter quickly looking for typos or anything that caught my eye. Knowing this, do you really want to spend the time writing one? Let me get back to you on that. Currently, in my role as a Career Advisor, we counsel our students to not only write a cover letter, but to customise it specifically for each role. That doesn't mean merely changing the company name and address either (although it's astounding how many applicants forget this important step). 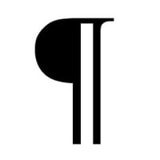 If we know that many recruiters barely glance at the letter, why do we tell our students to write one? Because a well written letter will get noticed and read. I saw with great interest your job posting in the local paper. I know that I would be a perfect fit for your company. Please see my attached resume for full qualifications." Yawn. When you get several hundred applications, and 99% of them read like this, it's no wonder the cover letter doesn't get read. I'm bored already. What you need to do to get noticed is to be noticeable! Let's say that you see a job posting for an accounting company. You hear that they are a great company to work for and you really want to apply. What can you do to get noticed? Find out who to address your letter to. This is a small step, but taking those few moments to do a bit of research will already make you stand out. Use LinkedIn, the company website, or even call the receptionist and ask. "Dear Ms. Smith" is a lot more professional than "To Whom it May Concern"
Print out - yes print out the job posting. There are 2 reasons for this. 1 - you can highlight the key areas to include in your letter, and 2 - you will have a record of the posting to help you to prepare for your interview later. Research the company. Why do you want to work for this company? What is it about them that makes you a good fit for their culture? Know what they do, who the key players are, and who they look for in an employee. Start composing. Your letter should start with an attention grabbing first sentence. Immediately, if you are different from the rest of the applicants, you will stand out. Look on line for any friends, former classmates or college alumni who may work (or who have worked) for the company. Reach out to them for any tips and advice on the company and how to apply. You never know, they may have an employee referral program in place. Be aware of applicant tracking systems (ATS). These are programs that search for keywords in your application package. 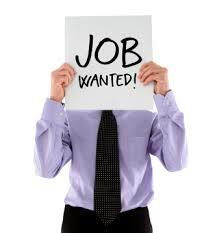 You can find the keywords in the job posting and can include them in your resume and cover letter. Some ATS will only allow you to upload 1 file. 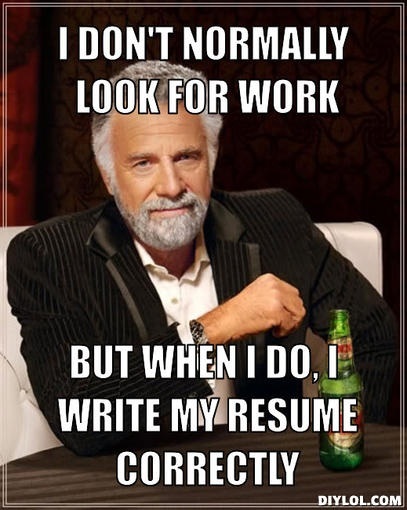 Be sure to save your cover letter in the same document as your resume. If you can, upload a Pdf instead of a Word document. Often the formatting gets screwed up and using a Pdf will protect that. Keep your audience in mind. What can you do for them? Be aware of "I" statements. "I have 5 years of experience in accounts payable" "I have a BCom from the local university" So what? What does your education and experience mean to me? Focus on your achievements and recognition. Proofread! Have a friend proofread your letter for typos and for flow. In a hurry? Read your letter out loud. Keep it short! No more than 1 page. Ideally a short intro, 1 or 2 paragraphs on why you are the best candidate, and then a closing sentence or two. For examples on how to write a "hook" in your cover letter, check out the articles on Careerealism. Last year I wrote this post wondering why everyone seemed to be so down on recruiters. But the debate ensues. 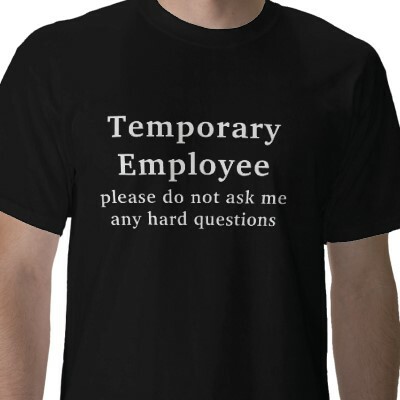 For 10 years I worked for a staffing company. And for 10 years I heard from strangers how horrible staffing companies are (actually I still hear this). The Staffing industry is a multi-billion dollar industry, so why do people hate it so much? On the surface, all staffing companies may appear to be the same, but underneath they are all different. Staffing companies can be found across the globe in all industries. Some are multinational, some are national, some are local. Some fill labour roles, others office, others executive, others do it all. They work on contingency, retention, or a combination of both. 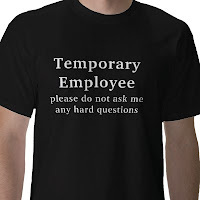 They may fill temporary, contract, permanent, or all. The employees may be skilled or unskilled. I could go on. I hope that you can already see how complex of an industry it is. 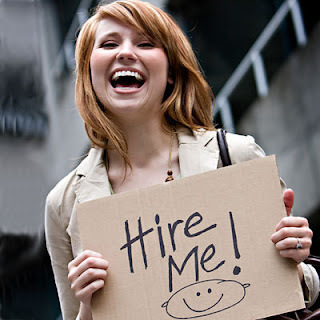 Businesses hire a staffing company to fill an open position. For the sake of this article, I will refer to permanent roles. The company that I worked for worked on contingency, meaning that they only got paid after the role was filled. By law (at least in Canada), it is illegal to charge any money to the job seeker. Therefore 100% of our revenue came directly from the employer. Staffing companies are not in the business of finding you a job. They are in the business of filling open positions for their clients. They may be able to present you to opportunities that otherwise would not be available to you, but they cannot guarantee you employment. Because we are paid 100% by the client, we work for them. We are working within the guidelines and restrictions for the position. If you fit within the limits of our search, then you may be considered for that role. Myth #2 - Recruiters are only in it for the "quick hit"
If this were true, then they would have no repeat business. I built up my client base for 10 years based on the quality of our placements and follow ups. We also had a 3 month guarantee in place for all placements, and a 95% success rate. If we were only in it for the "quick hit" our replacement rate would have been a lot higher! Most staffing companies will ask you to sign something when you register with them. Read it. Carefully. The company that I worked for did not limit you in your job search. We even encouraged you to register with multiple staffing firms. But we did ask that you not apply at a company if we had already presented you for a role. Sounds pretty fair to me. Again, I can't speak for everyone out there, but as a rule, we only called you if you met the needs of the client. If we were filling 4 senior accounting roles and you were a junior administrative assistant, you're right, we weren't going to call you. This is by no means a comprehensive list. Using a staffing company to complement your job search can be very effective, that doesn't mean that you can sit back and wait for the job offers to roll in. You need to be in the driver's seat and should be aware of who is hiring and where you want your résumé to be presented. I counsel university students every day on how to improve their résumé. By far the biggest comment that I hear from them is "who cares what my résumé looks like, isn't it the content that counts?" Unfortunately that isn't the case. 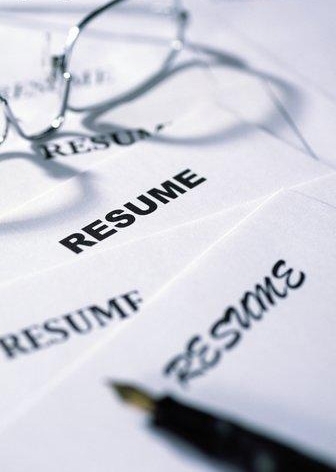 Many recruiters see hundreds of applications and résumés on a weekly basis. A good recruiter is able to quickly scan each one in a matter of 10 seconds(or less) and can determine based on that initial scan if your résumé goes into the "yes" or "no" pile. What can you do to make your résumé stand out? First - make it easy to read. No matter how amazing you may be, if you have a résumé that is cluttered or too "wordy", I'm going to look at it and toss it. Read every word of a 2 page résumé? Ain't nobody got time for that! Use a standard format with the dates separated from the rest of the text so they stand out. Tell me what you accomplished rather than what you were "responsible for"
One other thing; are you a whizz at word processing? I didn't think so, in fact, I know so. When I receive a résumé in a .doc format, I click on the "paragraph" button specifically to see if you know how to format. Usually, you don't. To avoid this, always submit your application using a .pdf file. You can thank my grade 3 English teacher, but I am a stickler for proper spelling. I have seen many applications get tossed because of 1 spelling error. 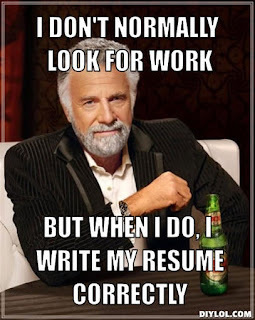 Use spell check and have a friend proofread your résumé before you send it in. 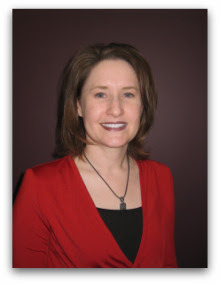 Human Resources, Sales & Sales Strategy, Social Media, and Staffing and Recruitment Expert. The thoughts and statements on this blog are mine alone and are probably not the same as those of my employer. If you get mad at anyone, it should be at me.